Divorce (or the dissolution of marriage) is that the final termination of a married union, canceling the legal duties and responsibilities of marriage and dissolving the bonds of matrimony between the parties. In different words a divorce could be a action at law between married folks to terminate their marriage relationship. It will be spoken as dissolution of marriage and is essentially, the legal action that ends the marriage before the death of either partner. As per Muslim Personal Law and under section seven of the Muslim Family Law Ordinance the husband pronounces talaq (oral or by method of Deed of Divorce) and sends written notice by registered post to the Union Council, mentioning address of his ex- woman. Thereafter the involved union Council sends a duplicate of the notice to wife by registered post and it constitutes arbitration Council within thirty days of receipt of notice. Once the iddat period (90 days from the date the union council receives the talaq notice) is over, the union council can issue a certificate of Talaq being effective to the husband and wife. This law was originally designed to shield ladies from a instant and unrecorded divorce. Before 1979 the introduction of the Zina Ordinance, a lady who wasn’t properly single and who later remarried may be punished for bigamy and sentenced up to seven years (or up to ten years if she hid the previous marriage) and only on the criticism of her 1st husband. However, since 1979, bigamy makes a lady at risk of charges of zina which might carry terribly severe penalty like death. Therefore, it’s very important for a lady to be fully clear concerning her legal status and to own documentary proof that she is properly single. Notice of talaq will be served on a wife (with the Union Council’s permission) through her father, mother, adult brother or sister – however no alternative relatives. If this can be unattainable as a result of her whereabouts aren’t known and notice can’t be served on her through her immediate family, the husband can still serve notice through a newspaper approved by the Union Council. In each of those forms of divorce, there’s no need to approach the courts, which means that the marriage are often dissolved quickly, cheaply and with few procedural problems. during this case both husband and married woman might sign a Mutual Divorce Deed and send a written notice under section eight of the Muslim Family Law Ordinance to the concerned union council. The Union council can adopt a similar procedure as of normal notice of talaq. On the opposite hand if married woman is delegated the right of Divorce in her nikahnama (clause 18), then she is entitled under the law to adopt a similar procedure of talaq for a husband as mentioned hereinabove. If the woman isn’t delegated the right of Divorce in her nikahnama (Clause 18) then she would need to use for Khula. Khula, which literally means that ‘untying the knot’, is the dissolution of marriage initiated by the woman and is granted by the court. to apply for Khula the wife would wish to file a suit for Khula within the court under the Pakistan Family Courts Ordinance, on the grounds that she feels she will be able to no long live with her husband “within the boundaries prescribed by Allah’ and such a statement on oath created in her suit would be enough to establish her case for Khula. A Divorce Deed is ready wherein a quick history of marriage and kid description is narrated, that is supplemented with terms and conditions of divorce. It’s also mentioned that the quantity of Haq Meher is came by method of a cheque/ Pay order and also the same is tendered along with original Divorce Papers. The Divorce paper is couriered to the recipient and it’s ensured that constant is received. A Copy of the Divorce Deed along with copy of the cheque and delivery receipt of the courier is submitted before the involved union council that upon receiving application can issue notices to the parties for reconciliation. The individual will appoint their lawyer to look on their behalf who can attend hearing for reconciliation. If reconciliation fails then the involved union council issues divorce certificate. 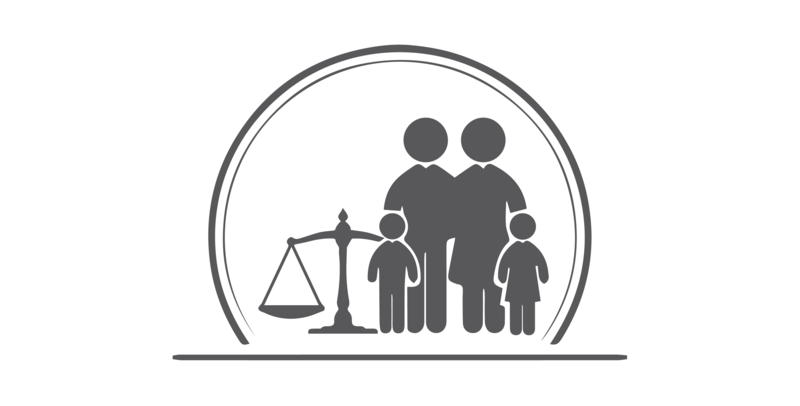 What we can do for you regarding family law?